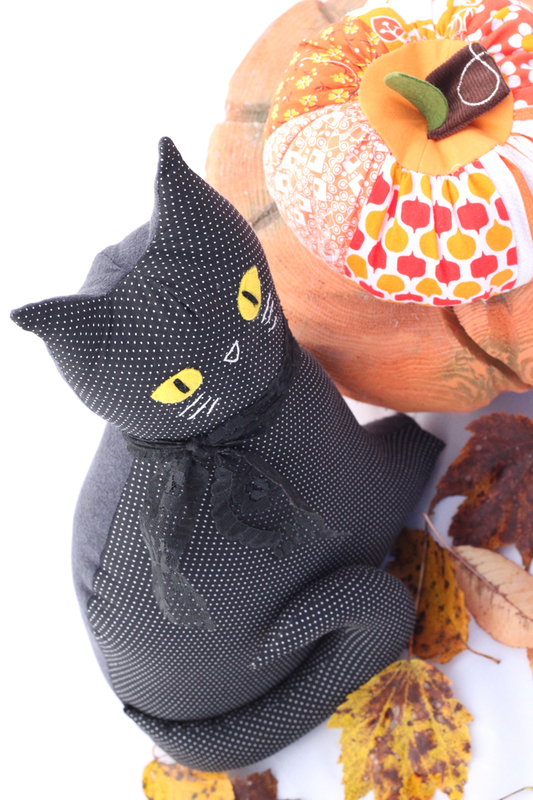 For the past couple of years I have offered a kit to make a really cute (not ghoulish) version of my Modern Folksy Kitty Sewing Pattern in Black. 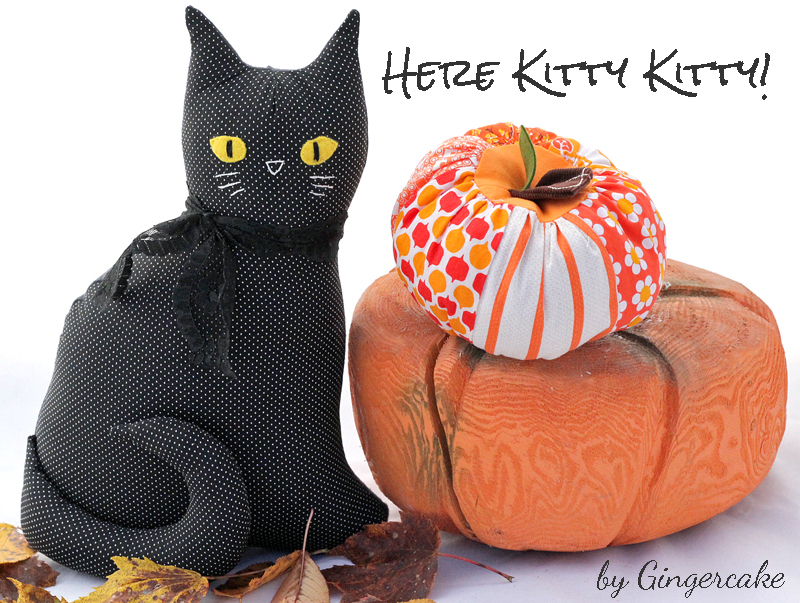 This year I didn’t offer the kit but I am offering the pattern on sale for just $5! I decided to share here how to make the yellow eyes and face on the kitty so you could easily re create this version. Cut out the eyes from the yellow felt. Use an embroidery needle (a needle with a long eye) to sew the eyes onto the kitty using matching yellow embroidery floss. 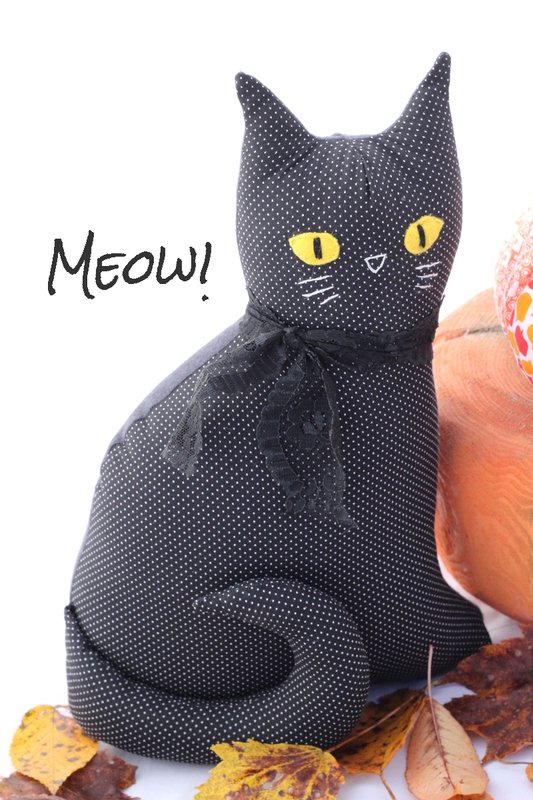 Use a split stitch to sew the felt to the kitty body. In the sewing pattern, there are links to help you learn these simple embroidery stitches. After sewing on the perimeter of the eyes, use black floss (provided) to sew a satin stitch to make the eye center. Again use, the diagram on page 22 of the pattern to help with the stitches.